Entrance: £3; CamRuSS members free. 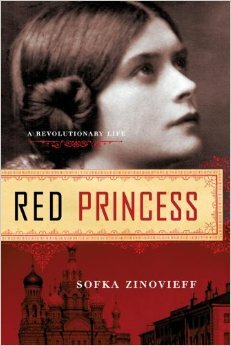 Sofka Zinovieff’s grandmother was a White Russian aristocrat in flight from the political upheavals of the 20th century. Like many exiles for whom tomorrow is a hostile land, the eponymous Red Princess – also known as Sofka – lived life with the gusto of the desperado. Her biography, as a result, is a union of comedy and tragedy infused with the heady romance of a vanished Russia. Sofka was born Princess Sophy Dolgorouky in 1907. Hers was one of the great old Russian families, and her parents’ wedding was among the most brilliant of the season – long, slim engines crunching up to the Winter Palace with bat-wing canopies sheltering bejewelled beauties swaddled in furs. But the couple divorced when Sofka’s father ran off with a famous Gypsy singer, whom he subsequently married. Come the revolution, little Sofka was bundled down to the Crimea with her grandmother and her grandmother’s friend, the dowager empress. They were close to Yalta when the events of Ekaterinburg unfolded; Dr Botkin, shot with the tsar and his family, had been the Dolgoroukys’ doctor in St Petersburg. Exile was inevitable. Sofka sailed from Yalta in 1919, arriving in London aged 11. Granny sold her pearls, and Sofka was installed at Queen’s College in Harley Street, suffering what Nabokov called the “animal aching yearn for the still fresh reek of Russia”. Sofka’s mother, Sophy, had remarried a homosexual prince, and when he was imprisoned in Russia, Sophy sneaked back to the motherland with a small bag containing a torch, a lethal dose of morphine and a bottle of Guerlain scent. Her husband got out, and in 1921 the couple fled to Estonia.